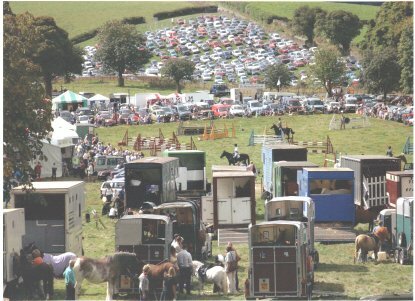 Held at West Park, known locally as the “Show Ground”, Millom & Broughton Show is on the last Saturday in August every year. The field is easy to find: the first on the right running along the Coniston road and is a short walk from the holiday cottage. If you are lucky enough to be in the area, it’s a lovely way to spend a day. The Show is relatively small – contained in the one field – but has lots to look at and enjoy. There are usually dog agility displays, fell racing, Cumberland wrestling and hound trailing, as well as all the livestock entrants, poultry tent and the fiercely competitive vegetable and flower competitions. The tribe has variously entered edible necklaces, animals made out of vegetables, best handwriting of a poem and decorated wellies. More senior members of the tribe enter marmalade, bread and photographs. Categories: Broughton, Children, Events, Things To Do | Tags: Broughton, children's activities, Lake District festivals, locally made, millom | Permalink. Norman Nicholson was born in 1914 and apart from the two year bed rest he spent in a sanatorium, Norman lived his whole life in Millom, writing poems both about the fells and the ironworks. His poems have a honesty and a sometimes shy, sometimes defiant, open handedness about them which makes them very appealing. 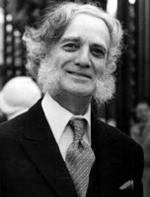 His obituary in The Times described Norman as “provincial”. He fought against this term as a put down and defended the label as a valuable, compassionate and humane perspective on life which we all respond to. In his most famous poem, “The Pot Geranium”, he describes the little plant thus: ” “A pot geranium flies its bright balloon … My ways are circumscribed, confined as a limpet / To one small radius of rock; yet / I eat the equator, breathe the sky, and carry / The great white sun in the dirt of my finger nails.” Wow. Categories: Arts, Lake District Poets, Local History | Tags: industrial history, local history, millom, Nicholson, Poets | Permalink.